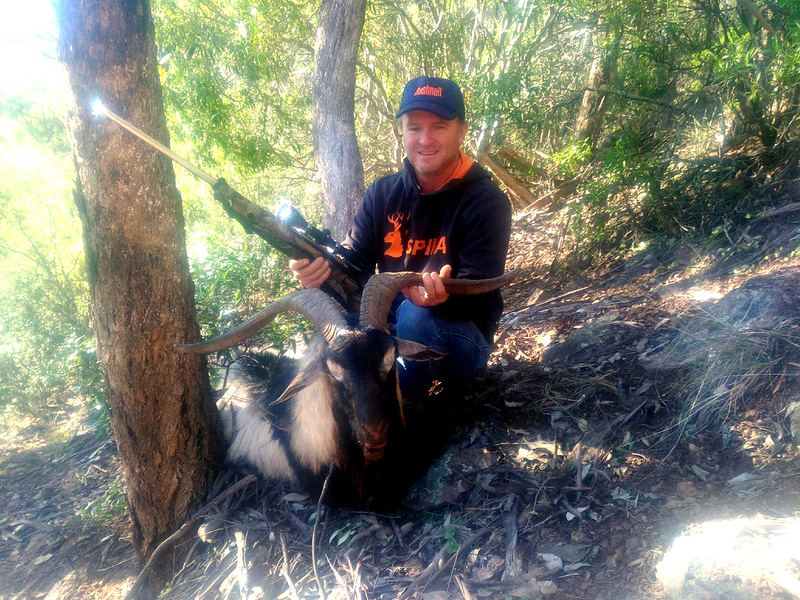 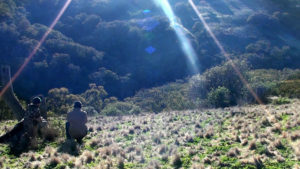 We set off into the hill just outside Tamworth in search of a few decent sized goats hoping to fill a freezer and pick up a trophy at the same time! 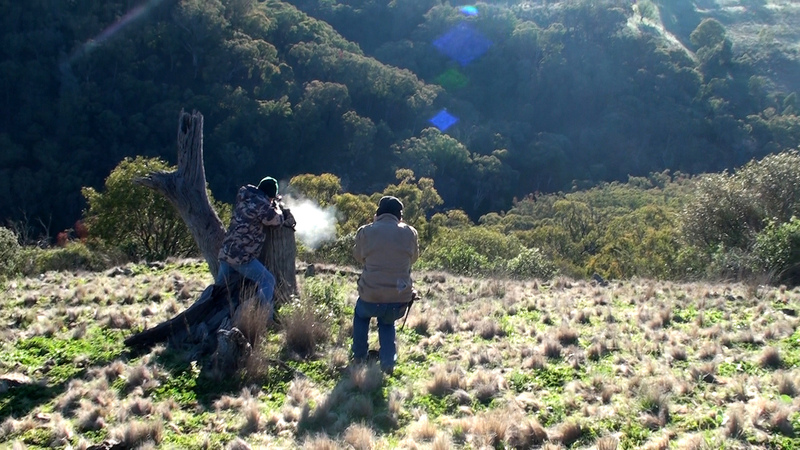 Upon arrival we noticed lush green pasture country around the flats adjoining some very steep slopes perfect country for the goats to roam, after a quick brief on property layout we loaded the bikes and headed up the valley into the scrub, we’ve hunted thick country before but this was almost taking it to a whole new level at times! We parked the bikes and proceeded to an open patch to glass the opposing hills with the Bushnell Trophy binoculars and it wasn’t long before a juvenile billy presented himself in a small open section of timber 395yds out and with Dave on the Bushnell Trophy binos and Danny with the .30-06 topped with the Bushnell Elite 3-9×40 had the first Billy on the deck and so began the recovery process. 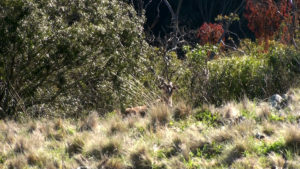 After removing alot of layers of clothing up the hillside the billy was located and extracted and a jacket lost! 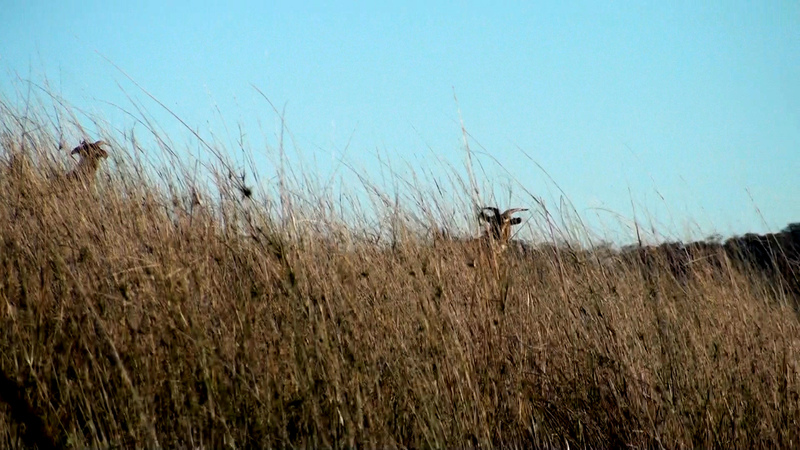 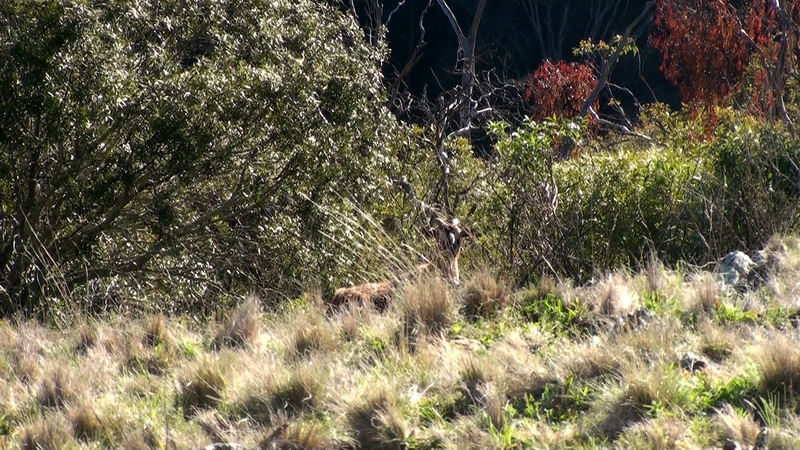 The Trophy binos provided a very crisp image during the mid morning light and made it remarkably easy to scan the hills and identify goats (and a few small piglets) very easily out to 500yds, they soon became the goto set of the 3 we had on offer for the day, putting them against the Bushnell Permafocus and Bushnell Legend binos. 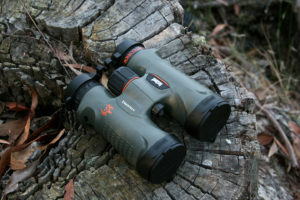 We are yet to test this set in low light but will provide feedback during our planned fox hunting trip next month. 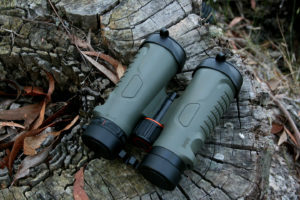 The Trophy’s feel in the hand was very welcoming offering a good grip and the focus knob has a very smooth operation adding to the overall feel, and with the added dust-caps prevented dust from entering a fogging the lenses. At first we found these tight and difficult to remove however this is what you want when expecting a waterproof seal. 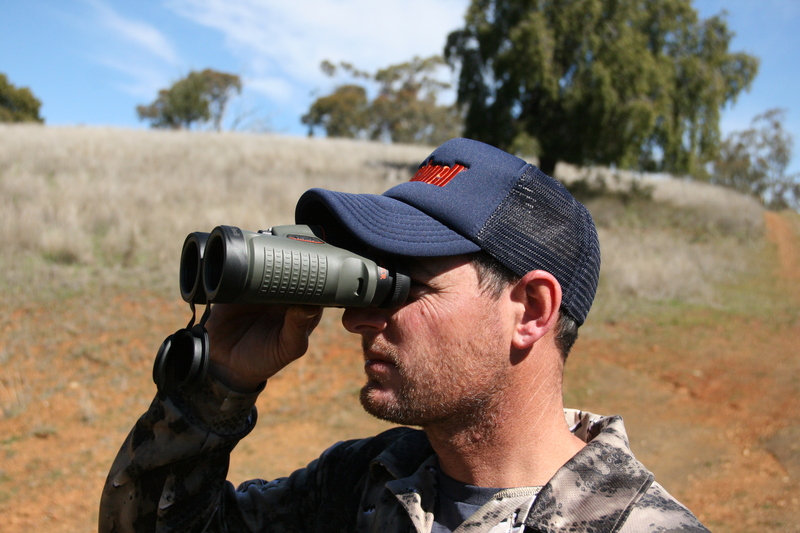 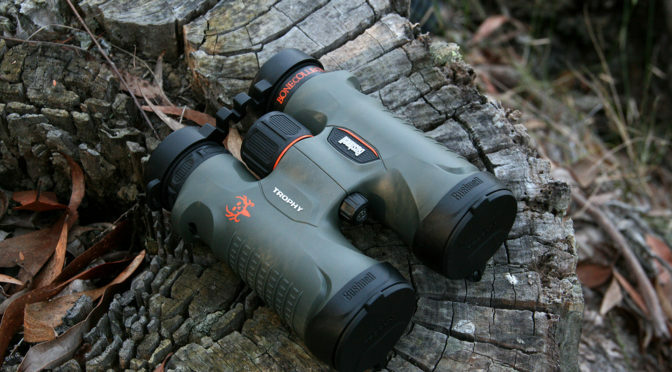 Overall we found the Bushnell Trophy XLT binos to be an excellent entry level set that wont break the bank for the hunter on a tight budget or for a hunter just starting out, with a clean crisp image & RRP of $299 you cant go wrong!